Z3X Samsung Tool Activation (sams_pro) - additional software which enables your Z3X-Box working with the latest Samsung handsets: repair, unfreeze, unlock, flashing and repair IMEI, NVM, camera, network etc. -Resets all types of locks. 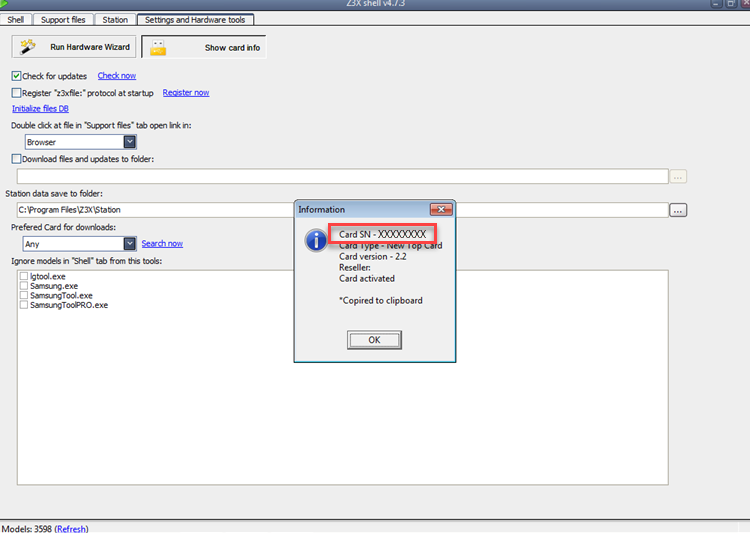 -Erase/download/safe verifies flash (not using OptiFlash method) for any region or all flashes.